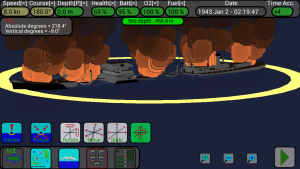 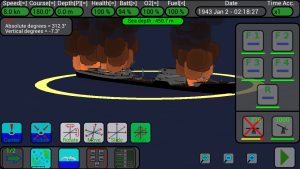 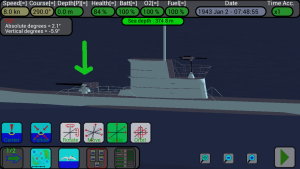 When the submarine rises to surface, your deck gun needs 4 seconds to be ready and then it can fire a round every 4 seconds; you have 220 rounds and when they are finished you can call the torpedoes transport to replenish them (only in the Full version of the game). 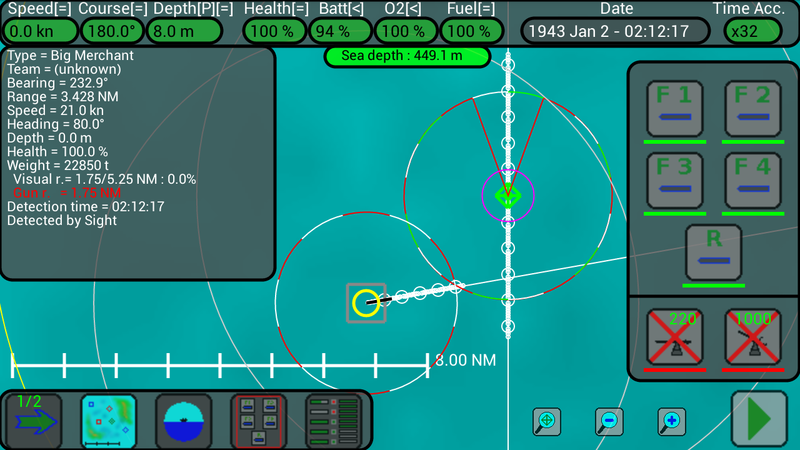 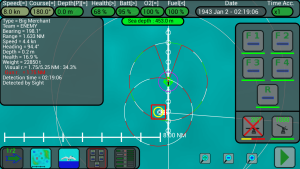 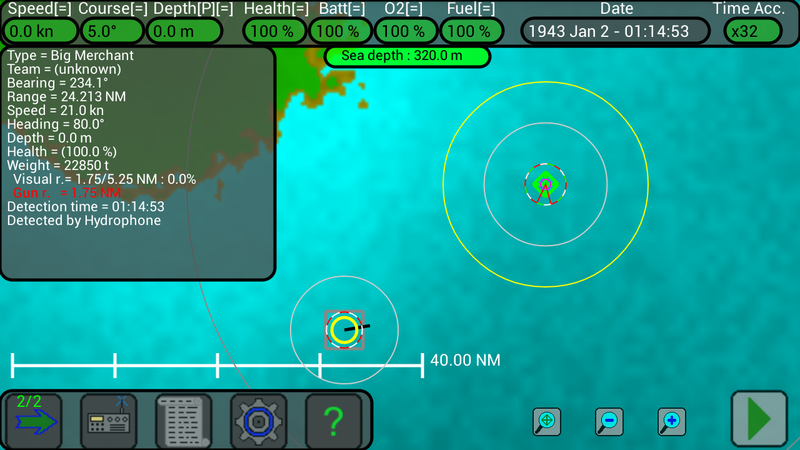 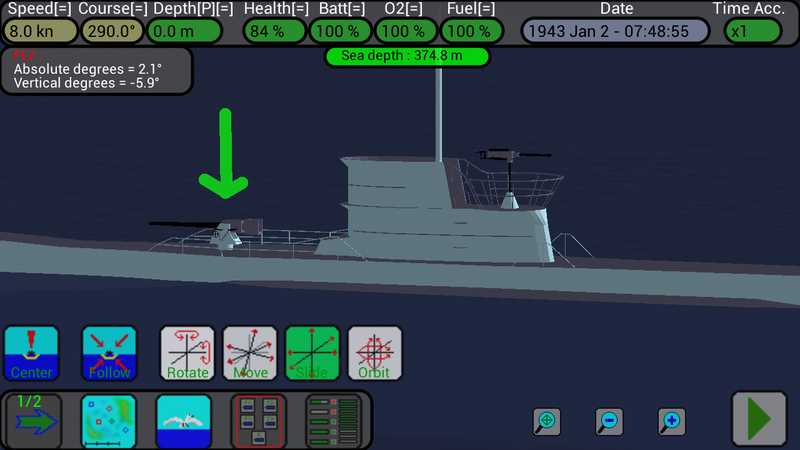 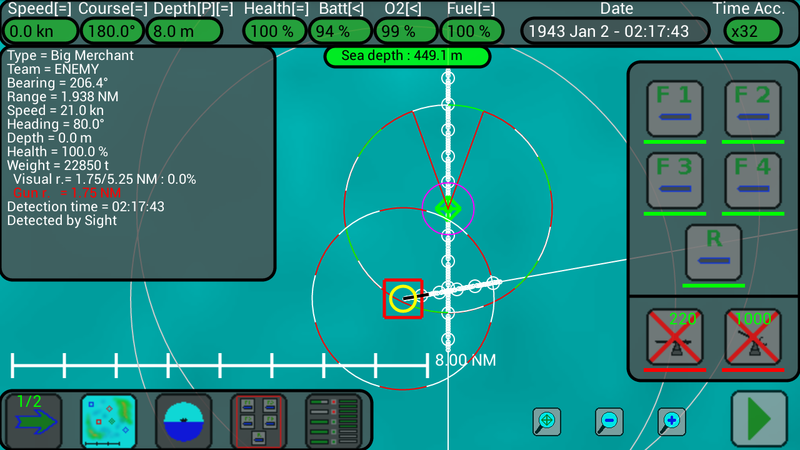 It can be used only against surfaced ships and is not able to hit ships located in the back of the submarine (look at the previous image, the red circle around your submarine shows the gun range and the blind angle in the back of the U-Boat). 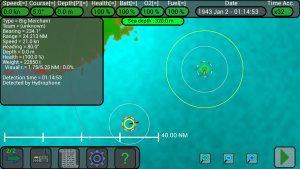 Be careful, also enemy ships can have guns and their range can be lower or greater than your gun range; always check it by selecting the other ships and looking at their range in the information panel ! 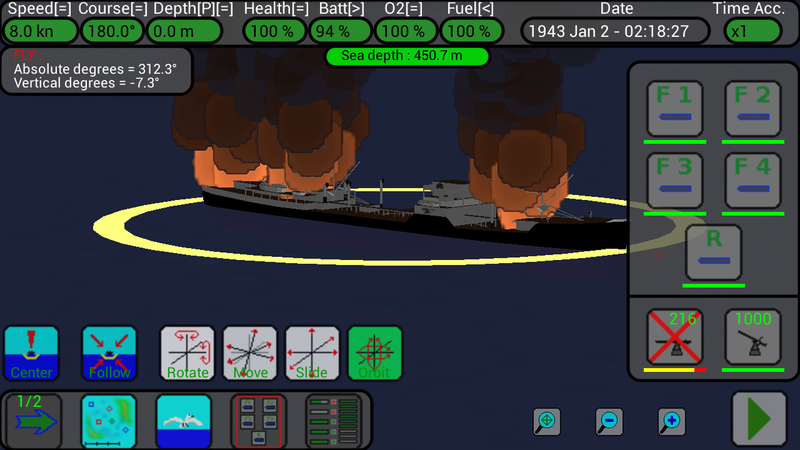 It’s very easy to use the deck gun, but always remember that the other ships can have guns with a greater range than your, so be careful !